It was a fantastic day in terms of performing arts at Earls Hall today as we hosted three fantastic performances for proud parents and other family members in our upstairs hall! 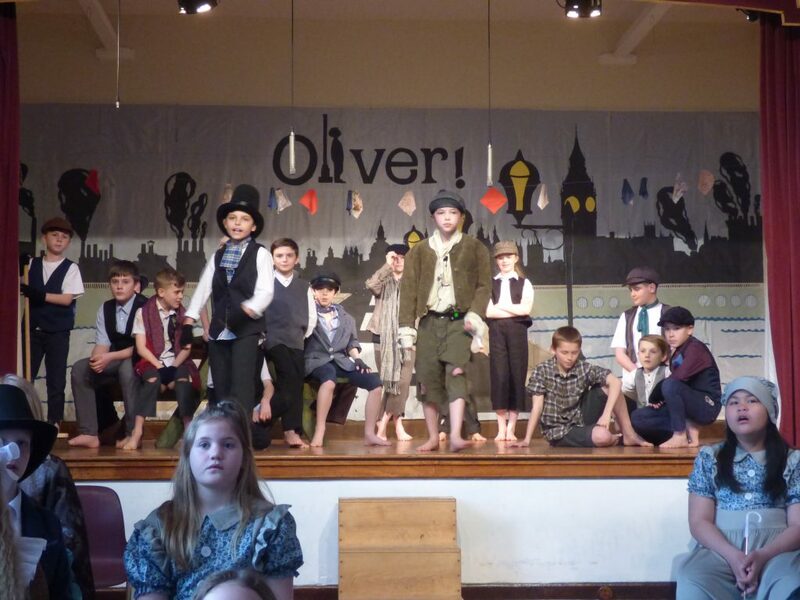 The children in Year Five took to the stage on two occasions in order to perform their wonderful version of the musical ‘Oliver’! There were some amazing song and dance routines and some quite staggering acting performances on show and the whole story was told to an extremely dazzling standard! At the end of the production the children were rewarded with a huge, and well deserved, round of applause! Well done children, we are SO proud of you! In the afternoon performance the audience were treated to biscuits and cakes provided by the PTA before the show. Thanks to all of the volunteers who gave their time and all who provided refreshments. At the end of the evening performance Mr B thanked Mrs Thompson for her skills on the piano, the audience and children sang happy birthday to Miss Neal and Miss Ellacott was presented with some flowers; the first mark of thanks to her as she prepares to retire next week. Earlier in the afternoon the hall had been used by our ‘Steps Ahead’ performing arts group in order to perform their end of term showcase for parents. The children performed three routines which included song, dance and acting. It was a great display of pure talent. Well done to all of the performers, we are proud of you!